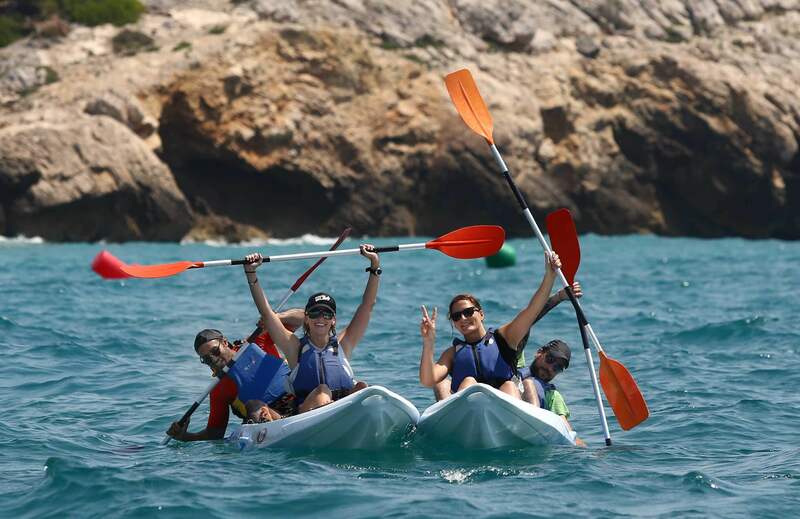 The activity will be placed in Vilanova i la Geltrú(Garraf Coast) Barcelona and we will paddle through the rocky coast between Vilanova and Sitges. 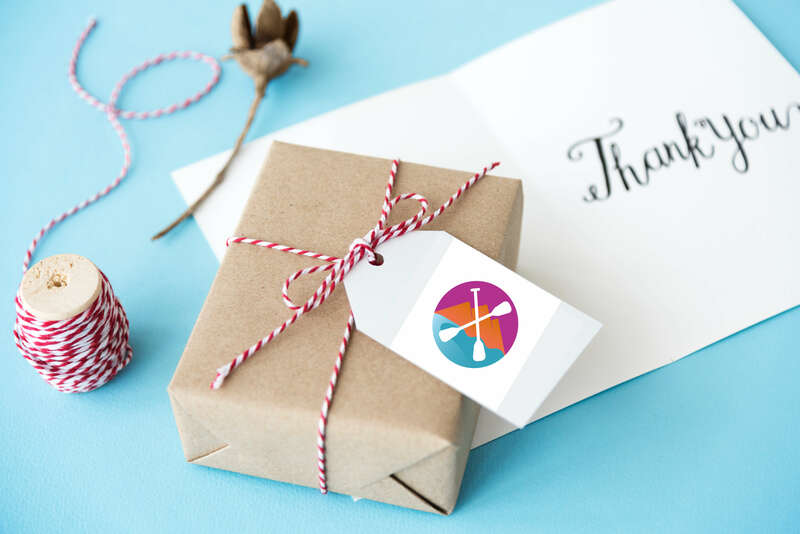 You do not need to have experience on this activity, because our instructor will give us all the basics necessries for getting into the water and control your boat easily. 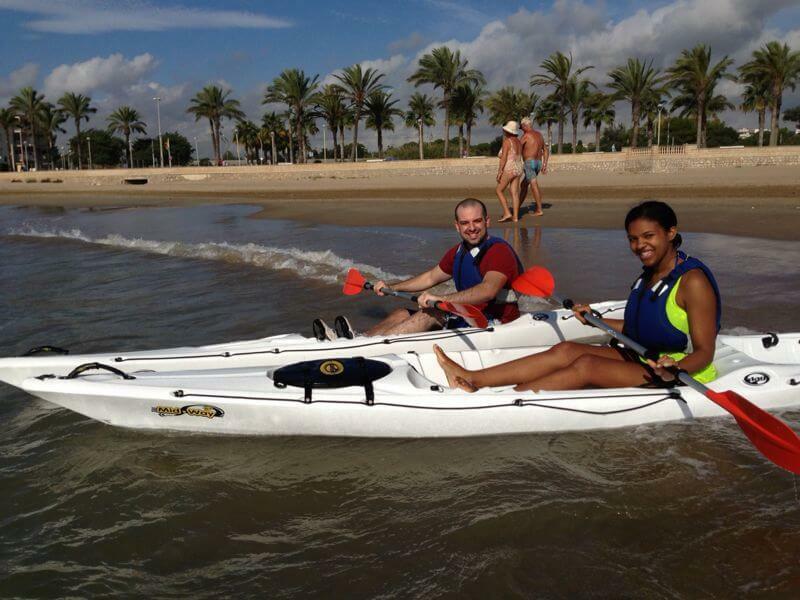 You will receive your equipment, for this activity we will use double or single open-kayaks, easy to manage and control. We will be getting change and get ready to enjoying the environment. 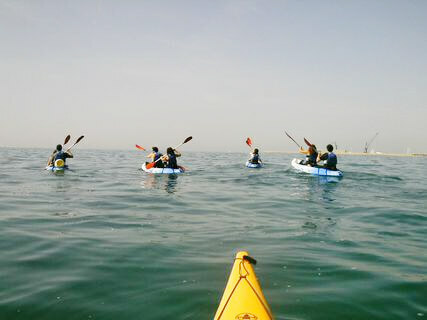 You will meet your instructor, the one will be accompanying you all the time in tour and give you a briefing on safety and paddleing techniques. We will paddle accross cave of Giants and “Punta de les Coves” where we will do some snorkeling and enjoy the seabed beauty. 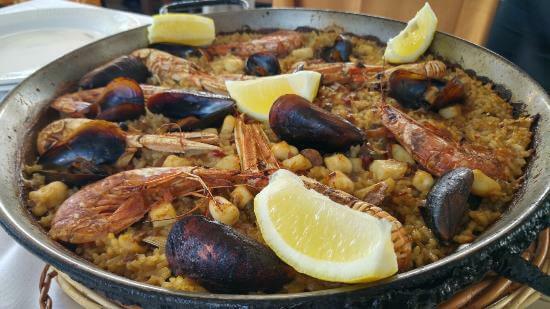 After this amazing experience we will go to “Fitorra Restaurant” home made cuisine, fresh sea food and the best and charming environment, located in the Hotel Cesar in front of the beach Ribes Roges, we will enjoy delicious Paella lunch with a couple of starters, Paella, desert, water and wine. 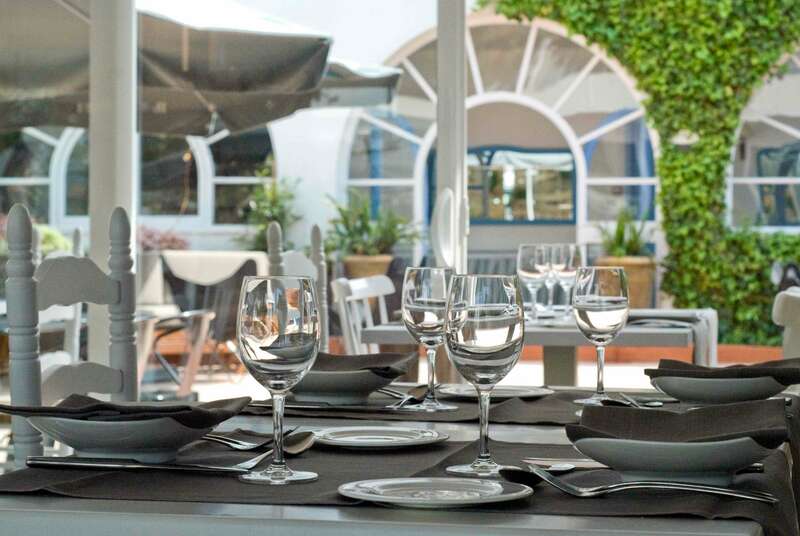 After this home made meal we can even swim on the Spa-Swimming pool or get relaxed on the terrace just behind. inform if you have any food allergies, or need a special meal request (vegan,vegetarian..).